Today many people live under the impression that unlike computers smartphones don’t really need anti-virus protection. Now nothing can be farther from the truth. After all, despite the functional differences a smartphone is nothing other than a sort of mini-computer and this fact should be enough to convince anyone that smartphones are not an exception when it comes to vulnerability to virus and malware attacks. However, to make our case more convincing we offer 5 reasons as to why you must install an antivirus software on your phone. Increasing use of internet on smartphones: Today smartphones and internet have become synonymous to each other and wherever there is a widespread use of internet the chances of viruses and malwares increases very drastically. In fact, today we use more internet on our smartphones than on our laptops and computers, and this is certainly a convincing enough reason for everyone to download good antivirus software on their smartphones. To try it out, you can download a free antivirus for Android to see the benefits and superior protection that you can get. It is a huge mistake to blindly trust apps: In order to simplify our lives today we download several apps on our smartphones but, unwisely enough, we never feel the lingering risk of viruses and malware while downloading these apps. This ignorance towards risk is largely owing to our strong presumption that all apps on the Google Play Store and Apple App Store are 100% safe. While most of the apps available on the Google Play Store and Apple App Store are certainly safe, there is no guarantee that all the apps are virus free. In case any of the apps does happen to be infested with viruses or malware ,and you’re lucky enough to have an antivirus software on your smartphone, then those apps will surely get caught red handed. Consequently, your smartphone will be saved from all the issues that could have been brought forth by any malicious apps. 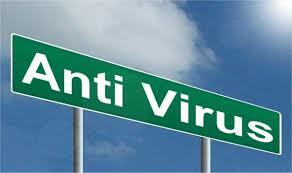 Today there are several good antivirus programs available online for Android as well as Apple phones. Bitdefender makes a nice range of options, both free and paid. Smartphone users have still not adapted to Hygienic Browsing: Since smartphone is a relatively new device, it is safe to claim that most smartphone users have still not been able to adapt what is often termed as ‘hygienic browsing’ or ‘smart browsing.’ Hygienic browsing or smart browsing actually constitutes of simple do and don’t rules that every browser needs to practice in order to thwart malware and virus attacks. Antivirus software can help in lot of other ways: Today most antivirus software has become very sophisticated and powerful as they go beyond merely protecting the devices from virus and malware attacks. For instance, today most antiviruses are efficient enough to inform smartphone users about apps that are in quick need of updates and therefore spare your mobile phone from becoming vulnerable to any possible virus attacks. For all those who don’t know, too many non-updated apps and softaware can make your smartphone highly vulnerable to viruses or intruders. Cybercriminals are now Preying on Smartphones: Gone are the days when the threat of cybercrime was restricted only to desktop computers and laptops. With people increasingly storing their sensitive data’s on their mobile phones, today’s smartphones have also increasingly come on the radar of cybercriminals. The easiest way to keep a check on these cybercriminals is to download a good antivirus software on your smartphone.